Do your curious kids touch and taste everything in sight? Time to befriend your box of baking soda! Free from harsh chemicals, baking soda is a wonderfully effective and child-safe household product that can be used on everything from kitchen drains to nappy rashes. Here are a few ways to use this impressive natural cleaning product in your home and help keep your baby's mattress and bedding in tip top condition! 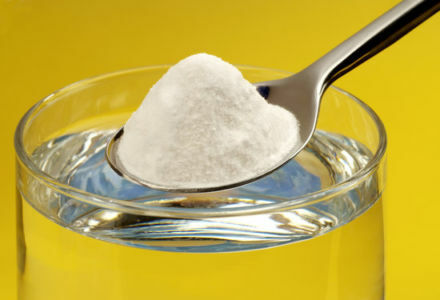 Baking soda boasts incredible odour-eliminating powers. You can sprinkle it in shoes, cat boxes, ashtrays, and cloth nappy buckets to neutralise stinky scents, or leave an open box in the fridge. Try adding it to the wash:- it will help get rid of smells." Combined with vinegar, baking soda can pull stains out of everything from carpets to cloth nappies and bibs, not forgetting stained mattress covers and sheets. Put a good amount of baking soda on the stain, then spray/sprinkle some white vinegar over the baking soda. It will go really bubbly and smell very strongly of vinegar. Put in the wash and ta-da! Stain gone. And the beauty is - it works & it's chemical free! Should you need any further information on caring for your baby mattress or cot mattress, please just contact our team - that's what we are here for!